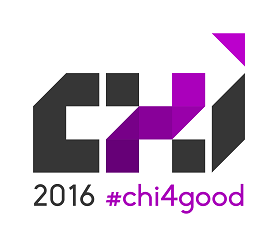 CHI 2016 anticipates around 3,000 Papers and Notes submissions. The review process needs to handle this load while also providing high-quality reviews, which requires that each submission is handled by an expert Associate Chair (AC) who can recruit expert reviewers. The organization of the CHI program committee into topical subcommittees helps achieve this. See the description of the Papers and Notes review process for a detailed explanation of the responsibilities of the ACs Subcommittee Chairs (SCs). Authors are required to suggest a subcommittee to review your submission. This page provides guidance on choosing the appropriate subcommittee for your submission. When you submit a Paper or Note, you will designate which subcommittee you want to handle your submission. In the vast majority of cases, the subcommittee you select is the one that will review your submission. In cases where the Papers Chairs and/or Subcommittee Chairs recognize that your submission will be reviewed more thoroughly in another committee, a submission may be transferred from one subcommittee to another. If a submission is transferred to another subcommittee, this will happen in the first week of the process, before reviewers are assigned; i.e., transferring will not affect a submission’s review process, it will only ensure that it receives the most complete, fair set of reviews. CHI has traditionally supported diverse and interdisciplinary work and continues to expand into new topics not previously explored. We recognize that as a result, you may find several different subcommittees which are plausible matches for your work. However, for a number of reasons it will be necessary for you to select one target subcommittee, and you should strive to find the best match based on what you think is the main contribution of your submission (examples of papers that are considered good matches are linked below for each subcommittee). You can also email the SCs for guidance if you are unsure (an email alias is provided below for each set of SCs). Also, see the Subcommittee FAQ at the end of this page to see if specific guidance is available for your submission’s area. This subcommittee will focus on technology, systems, and engineering contributions that enable, improve, or advance interaction. This will include software and hardware technologies that enable and demonstrate novel interactive capabilities, as well as languages, methods, and tools for construction and engineering of interactive systems. Engineering contributions should clearly demonstrate how they address interactive systems concerns. They can be targeted at end users, offering novel interaction capabilities or supporting simplified interactions. They can also be targeted at developers, facilitating the construction of innovative interactive systems. This subcommittee will focus on papers that extend the design and understanding of applications for specific application areas or domains of interest to the HCI community. Example application areas and user groups are listed below. Submissions will be evaluated in part based on their impact on the specific application area and/or group that they address, in addition to their impact on HCI. During the Program Committee meeting, this subcommittee will split into three groups based on areas/domains of expertise; submissions will be discussed by the most appropriate group. A submission’s primary keyword will be the main determinant of the group to which it is assigned. Example user groups: older adults, children, families, people in developing countries, and people with perceptual, cognitive, learning, or motor impairments. Example application areas: education, health, home, accessibility, sustainability, ICT4D, security, privacy, creativity, software development tools, crowdsourcing, data visualization, and visual analytics. This subcommittee will focus on papers across all areas of games and playful interaction. Although methods may vary, rigour is expected and submissions will be judged according to the standards for the chosen approach. Topics include but are not limited to: game interaction (novel interfaces and mechanics), playful interaction (toys, books, and leisure), the design and development of games, player experience evaluation (psychology of players, games user research and analytics), serious games (gamification, persuasive games, games for health or learning), and understanding play. 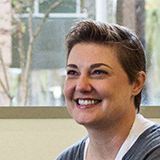 Heather Desurvire, User Behavioristics Inc. This subcommittee is suitable for papers and notes that contribute to our understanding of collaborative technologies that affect groups, organizations, communities, and networks. Successful submissions will advance knowledge, theories, and insights from the social, psychological, behavioral, and organizational dynamics that arise from technology use in various contexts. When Are Users Comfortable Sharing Locations with Advertisers? This subcommittee will focus on papers that make a contribution to the design of interactive products, services, or systems; or that advance knowledge of the human activity of design as it relates to HCI. It will cover a broad range of design approaches: participatory, user-centered, experience, and service. It will also cover a range of design practices: interaction, industrial, experience, information, architecture, visual communication, and sensorial. Finally, it will focus on design research issues such as aesthetics, values, effects (such as emotion), methods, practices, critique, and theory. This subcommittee will focus on advances in interaction that use capabilities, modalities, or technologies that have not yet been fully exploited in standard approaches to interaction. These contributions will be judged in part by their novelty and their ability to extend user capabilities in powerful new ways or to new contexts. Example areas include, but are not limited to: multimodal user interfaces, tactile and tangible interfaces, speech I/O, auditory I/O, physiological computing, on-body and brain-computer interfaces, perception and vision-based systems, and augmented reality. This subcommittee is suitable for papers whose primary contribution is improved understanding of people or interactional contexts. This understanding may be derived from quantitative or qualitative empirical research, or it may be conceptual in nature. Core contributions typically take the form of insightful findings, evolved theories, models, concepts, or methods. Contributions will be judged in part by their rigor, significance, validity, and practical or theoretical impact. This subcommittee focuses on new interaction techniques, technologies, and devices for input and output. Contributions will be judged in part based on their novelty or on their demonstrated improvements of existing interaction types. Areas of interest include, but are not limited to: sensing, actuation, unconventional UIs, touch and multi-touch, 3D interaction, augmented/mixed/virtual reality, mobile interaction, novel displays, and devices of different sizes and configurations. Several research areas could logically fit into more than one subcommittee. In an effort to ensure that appropriate ACs are available for every paper, for some of these “borderline” research areas, we’re encouraging submission to a specific subcommittee. This list will grow over time; if you feel an area should be added to this list, or if you have any other questions about this page, contact the Papers Chairs at papers@chi2016.acm.org . Submissions that describe Systems-oriented research in computer-supported cooperative work (CSCW) should be submitted to Technology, Systems, and Engineering. The Social Computing and CSCW subcommittee will review qualitative and quantitative studies of CSCW systems and practice. In the terminology recently used by the CSCW conference, papers described as “Systems” should go to the Technology, Systems, and Engineering subcommittee; papers described as “Empirical – Quantitative” and “Empirical – Qualitative” should go to the Social Computing and CSCW subcommittee. Submissions primarily about Information Visualization should be submitted to Specific Application Areas.